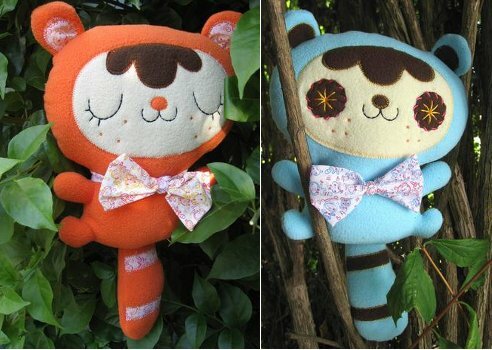 My limited knowledge of the ‘plush world’ inhabited by plush toy collectors and enthusiasts of all ages has exploded with my introduction to Anna Chambers and her glorious plush creations. Her designs and imaginative plushies are really a thing to behold. 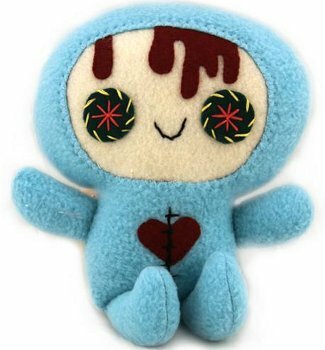 Some are adorable (the limited run Suzy and Sammy pictured below), some are odd (the zombie baby pictured above), some are side-splittingly funny and possibly not kid friendly (the 177 different plushies named after some form of poo!) but they’re all decidedly cute and, of course, soft. Anna’s day job involves painting and illustration and she makes plush in her free time – quite an achievement considering how popular her pieces are. To grab a one-of-a-kind plush toy for your little tearaway, head to the Anna Chambers website or Nucleus Art Gallery which sells a good selection of her softies internationally. All sell very quickly and are one-offs so be quick!